Gayle King attends the 17th Annual USTA Foundation Opening Night Gala at USTA Billie Jean King National Tennis Center on August 28, 2017 in the Queens borough of New York City. Gayle King added an extra pop with a pair of coral pumps. Gayle King made a lovely choice with this watercolor-print dress for the USTA Foundation opening night gala. 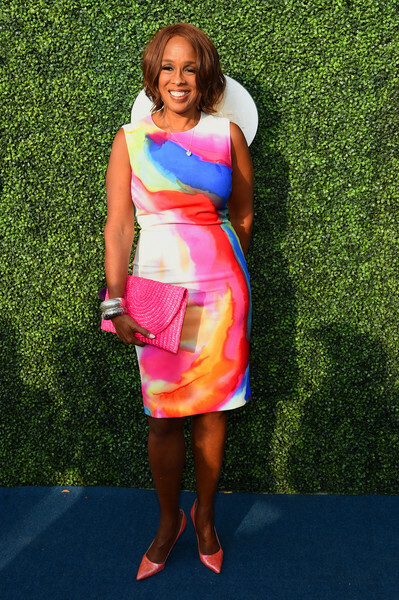 Gayle King rounded out her multi-hued ensemble with a hot-pink straw clutch.